Comments: Soft, blue-green foliage of spring and summer turns bronze in winter. 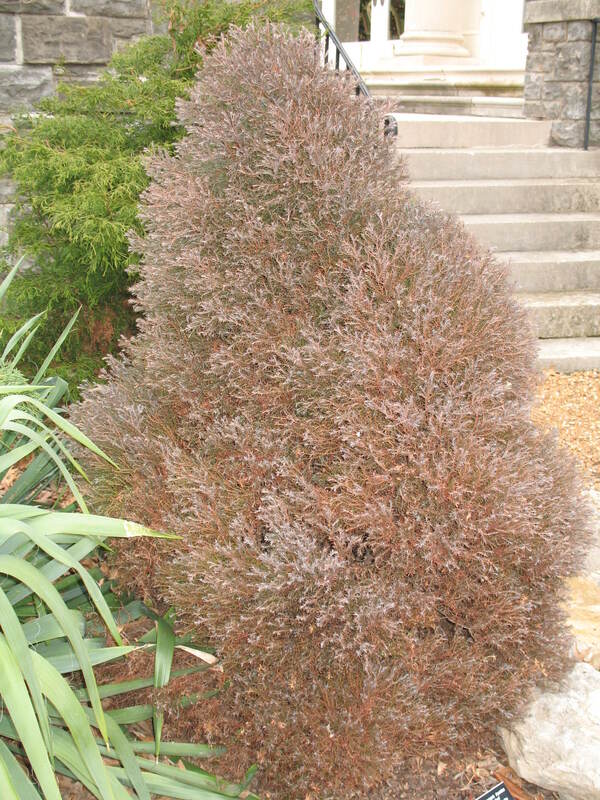 Interesting shrub in the winter when foliage turns a bronzy color. Best adapted to conditions of the Upper South.